Amazon has announced a free standard delivery option to over 13,000 Pickup Locations across the UK. These locations include rail, tube and petrol stations, newsagents and convenience stores, universities, libraries, business parks, an airport and Post Office branches, and Amazon say that they will provide a simple, secure and convenient delivery option for customers on millions of items. The service is now available on products sold or fulfilled by Amazon, with a minimum requirement of £10 or more for books, or £20 or more of products from any Amazon store. This freebie service should see orders arriving “one to two days” after dispatch. Prime members already qualify for One-Day Delivery to any Amazon Pickup Location at no extra cost as part of their membership benefits. Amazon has aggressively increased the number of Pickup Locations provided, with the current figure of around 13,000 being more than double the number a year ago. To select this service, Amazon customers can select a Pickup Location when they get to the checkout, and they will receive a confirmation email with collection instructions when their item reaches the Pickup Location. Customers in a hurry can also also choose Same-Day collection from almost 700 local shops and garages through ‘Pass My Parcel’ – a collaboration with newspaper and magazine distributor Smiths News. Same-Day collection is also available at no cost to Prime members as part of their membership and £4.99 for non-Prime members. 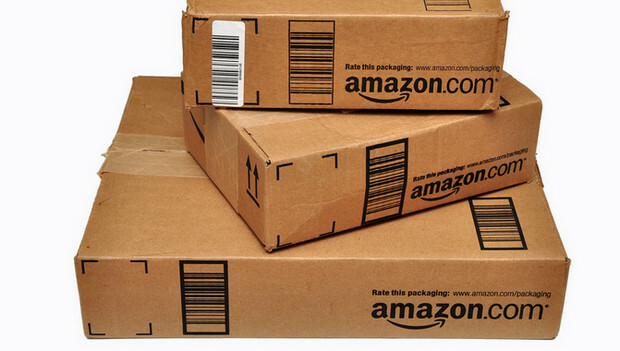 For more information about free Standard Delivery to more than 13,000 Pickup Locations visit www.amazon.co.uk/pickup. For more information about Amazon deliveries visit www.amazon.co.uk/delivery.